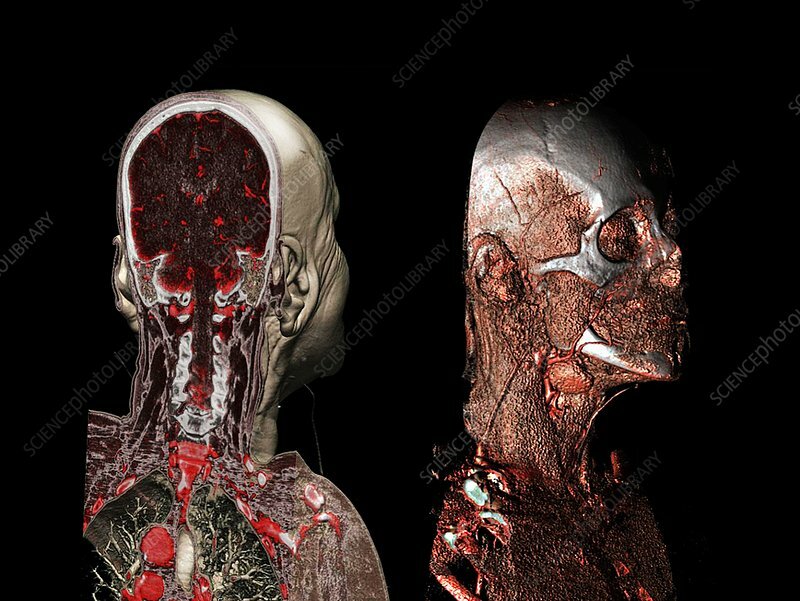 Skull, brain and blood vessels, computed tomography (CT) scans. The scan at left shows the skull and brain from the rear, sectioned vertically to show the internal anatomy. The scan at right shows the external anatomy of the skull and its blood vessels.